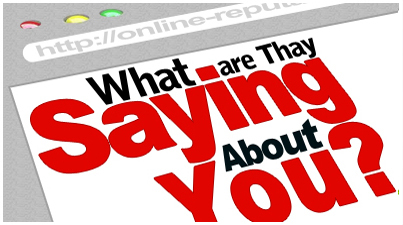 Our team of experienced professionals is dedicated to helping you monitor your online presence . They will execute a tactful, result oriented campaign that will help to rebuild your positive image. Knowledgeable technical experts, proficient content developers, and intelligent project managers will work hand in hand with each other to use all online and social media platforms for your benefit. Being in this business, we stay up to date on the latest developments in social media and other channels. 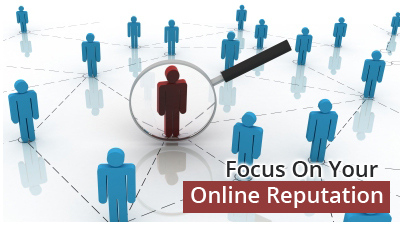 Thus, we can assist you with a more effective multipronged approach to help revive your online presence. In addition to social media, we use blogs, articles, PRs, forums, communities, and other methods to help increase your positive online rating. It is very easy for someone with malicious intent to post something negative about you or your business and ring a false alarm bell. But how can you undo the harm done by that false bell? Fortunately, we can help you. Our online reputation correction service can assist you in creating the right positive content to combat the inaccurate content. We have worked with clients from all walks of life to manage their online reputation. Here are included some of the case studies where we’ve used pseudonyms for client and business names to protect their identity, but you can get a gist of the work we’ve done for them. These case studies are written on a case-to-case basis and we often use the right tool for the job to ensure that our clients get the best results from the online reputation management campaign. ABC came to us as his business was being affected by incorrect information on the internet. He suspected that his ex-partner was doing it to harm his business. XYZ was the founder of a non-profit organization and was accused of embezzling funds. He was found to be not guilty later on, but the inaccurate content about him still ranked online. Client owned car dealership. He had been facing loses because of negative reviews being posted by irate customers. Client sold his clothing range online, some customers posted negative reviews because of the problems they faced with shipping and size of clothes. When you hire our services you can rest assured that you’ll start seeing results quickly. 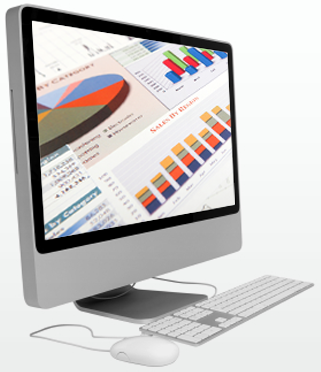 We can manage the search engine results in top search engines such as Google, Yahoo and Bing. In the rare case that you’re not satisfied with our services, we offer you a 90 day money back guarantee. Within – days of starting date of your campaign, you can cancel your account and get all your money back. Though, we are sure you’ll never need to ask for the same. We understand that every case is unique and every client has a different need from an online reputation management campaign. 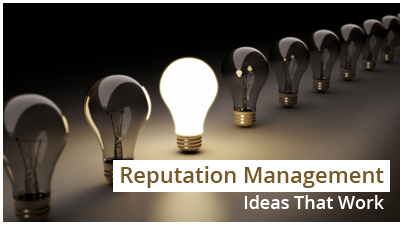 Our team of professionals has years of experience in handling all kinds of reputation management campaigns, from working professionals looking to suppress incorrect information in search results, to business owners dealing with errant employees posting incorrect information about them online, we’ve worked with all these clients and many more. Our professionals first understand the critical needs associated with a campaign and then devise a strategy which is further green-lit by the client and then they get to work to do the needful. A dedicated project manager is assigned to each project who will be the point of contact for the client and client’s approval is taken on every step of the online reputation management process. Identification: The first step in the online reputation management process is to identify the incorrect information present online. Our teams of professionals conduct search on all major and minor search engines to find out the web properties where a client is being presented in the wrong light. Once such properties are identified, a database of such links is created to be monitored through the duration of the campaign. Inspection: The database of links with incorrect information is inspected by our in-house experts who figure out the right strategy and course of action for each link. While some websites can be requested to remove the incorrect information, others, such as forums, can also be approached through moderators to remove the posts that are incorrect. Promotion: We also use content provided/approved by the client to populate the search results for the keywords chosen by the client. As we cannot factually judge the content provided by the clients, all content approved by the client is considered accurate and the same is used for promotion of client’s name or business brand. Impact: The impact of all these activities is tracked on a daily, weekly, and monthly basis and clients are informed by a dedicated project manager. Clients can also arrange a call with the project manager as and when needed to know more about the progress of the project. We will keep you informed about the project’s progress by sending daily, weekly and monthly reports. We take a task based approach to all campaigns and follow tried and tested measures that are sure to bring results. We approach a campaign from different paths to figure out how it can be successful easily and in the shortest time possible. Clients will have a dedicated point-of-contact who will deal with them through the project and send them regular progress reports. We understand the unique needs of every client and provide customized solutions for all kinds of reputation management campaigns. All our services are completely confidential and we follow strict measures to ensure that the privacy of our clients is maintained at every step of the campaign. Copyright © 2013 OnlineReputationCorrection.com, All Rights Reserved.